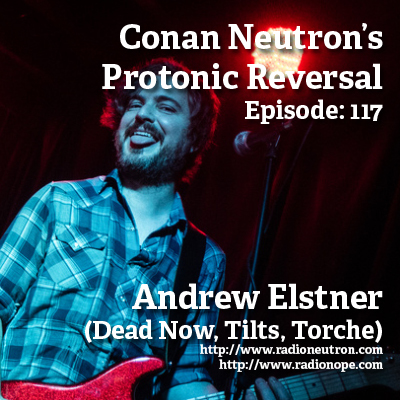 it’s Andrew Elstner of Dead Now, and formerly of Tilts, Torche, Riddle of Steel and more. 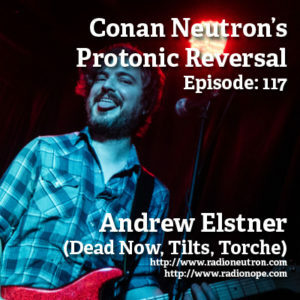 He speaks of leaving Torche, the passing of Ken McCray, moving down south, boutique pedals. Putting on a show. It’s a whole thing. Did you know that the original theme song for this show was a Tilts song? Yup. He’s also a returning guest. All the way back from Episode 3. Holy moly! that’s 114 episodes ago. OK!